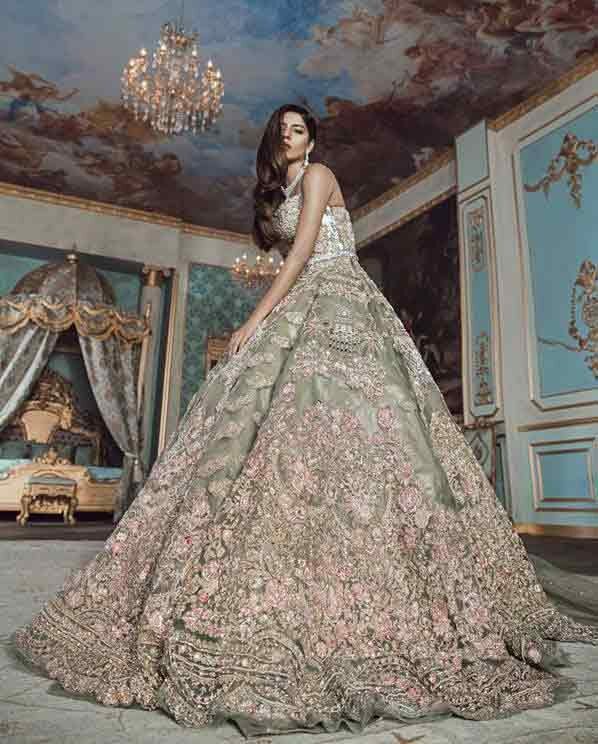 Let’s dive into the latest collection of Pakistani engagement dresses for brides! Are you going to be the engagement bride and looking for the best dress styles to choose from? What kind of dress style are you excited about to wear on your special ceremony? Do you want something unique yet stylish like short peplum frock with sharara, voguish lehnga choli or maxi long frock style? Do you desire persistently for more conventional wedding wear, such as embellished short shirt with lehnga plus dupatta or beautifully adorned kurti with lehenga? Have a look at the assorted Pakistani engagement dresses (shown in the following picture) and prepare your mind for stitching style plus color combinations. Almost every spouse-to-be has already set her mind with regard to the dress style that she prefers to wear on her big day. And I must say that whether it is super voguish or a traditional (desi) dress, Asian wedding brides always appear more than endearing in each wedding event. In this article, I will throw some light on both classy and conventional bridal dresses that are going to be the latest wedding fashion trends in 2019. You will see an imaginative mix of reincarnated démodé grandeur and colourful art. Today, I have gathered not only the renowned designer dresses (for those who can afford) but also the local designer dresses (for those brides-to-be, who actually cannot be able to spare). The designs and hues of these latest Pakistani engagement dresses are blended so well together in such a balance that you won’t be able to get your eyes off them. Have you decided your makeup look for the engagement ceremony? If not yet, then you must check out the most recent Pakistani engagement makeup ideas that will perfectly match with your dress color combinations. Specifically, when you are about to wear ash grey, golden, pink or off-white bridal dress. 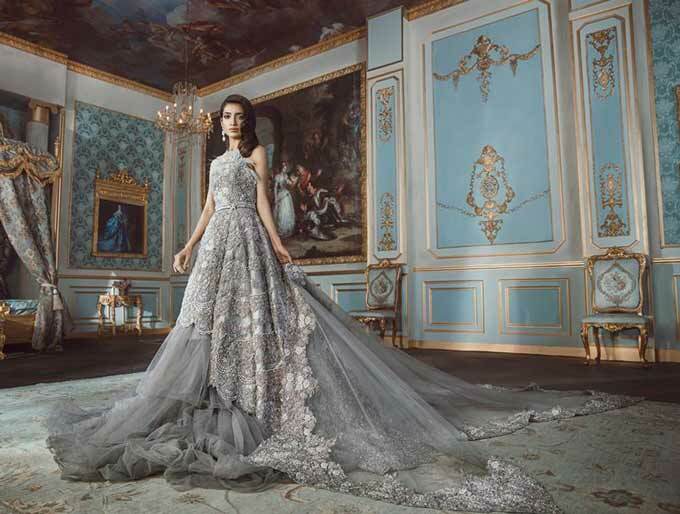 Here are the voguish and best Pakistani engagement dresses for brides-to-be. Today, you will feel out the unique veers for dresses in Pakistan. 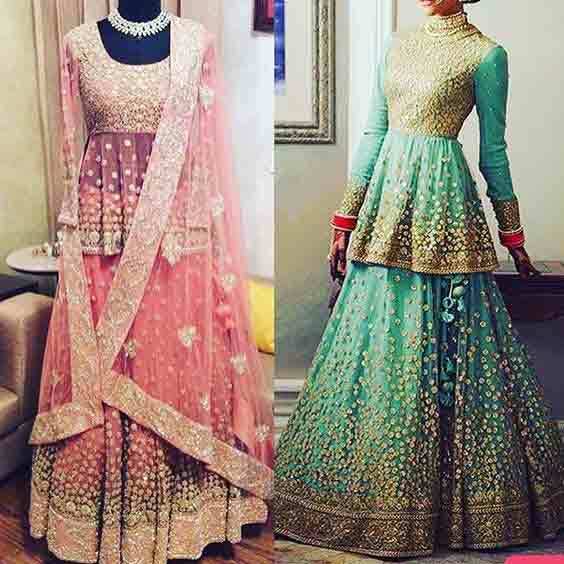 Pakistani engagement dresses are not just about fitting or design, it is all about the reflection of one’s personal attractiveness and charisma. See how beautifully “Carolina Herrera” has to say about it as follows. 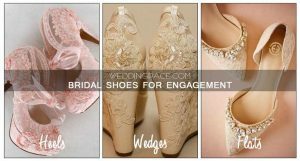 You will sense this when you read the marvellous ideas in this post and consider the images of voguish as well as simple engagement dresses for Pakistani brides. Although you invariably have got the option of color preferences and stitching style, that is totally up to you! If you do like one or more dresses, you may coalesce your favorites. And without any doubt, you will be happy with the end results. I promise! 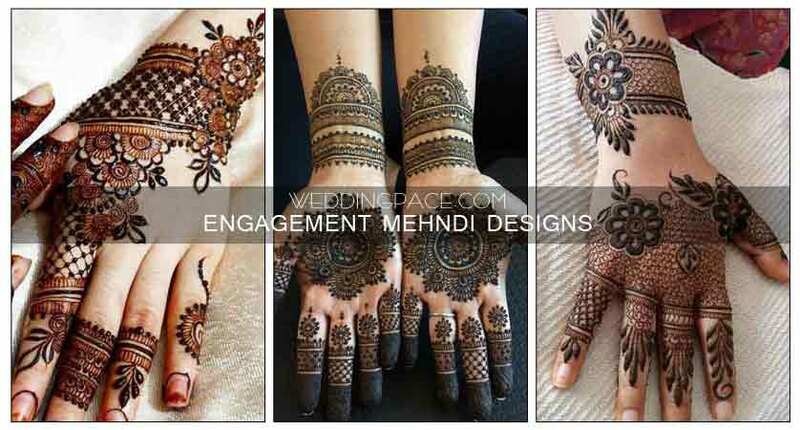 Are you wondering to apply mehndi designs for engagement? Here I have got you the most tremendous and new styles of mehndi designs that will assuredly make your hand look more attractive The best part is that you can certainly match your engagement dress with glitter or tattoo mehndi designs! Let’s check out the latest mehndi designs for engagement. Decorative needlework is often synonymous with wedding wear! Take Pakistani engagement dresses, for instance, which almost always lean completely on labyrinthine flora, fauna, and sequins splattered down the entire lengths of outfits. Everyone can see the toil and tears committed to the craftsmanship and that is often exquisite. 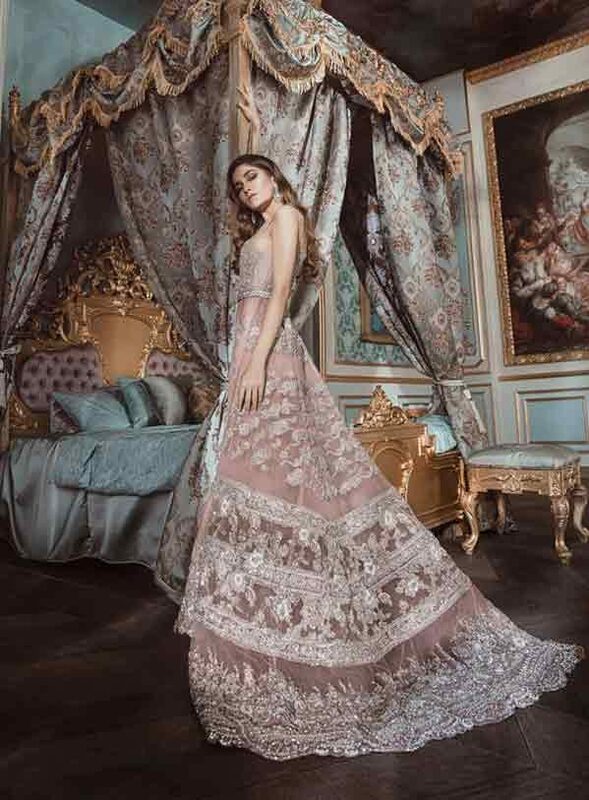 The innovation in the silhouette, hues from the palette or even the intricate embroidery patterns of these super gorgeous Pakistani engagement dresses will assuredly grab the attention of everyone around. 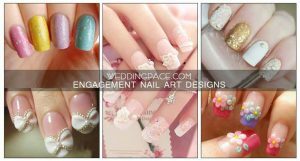 Wedding bride must look ravishing and stunningly beautiful on her special day. Because nowadays, it is difficult to figure out who the bride is! 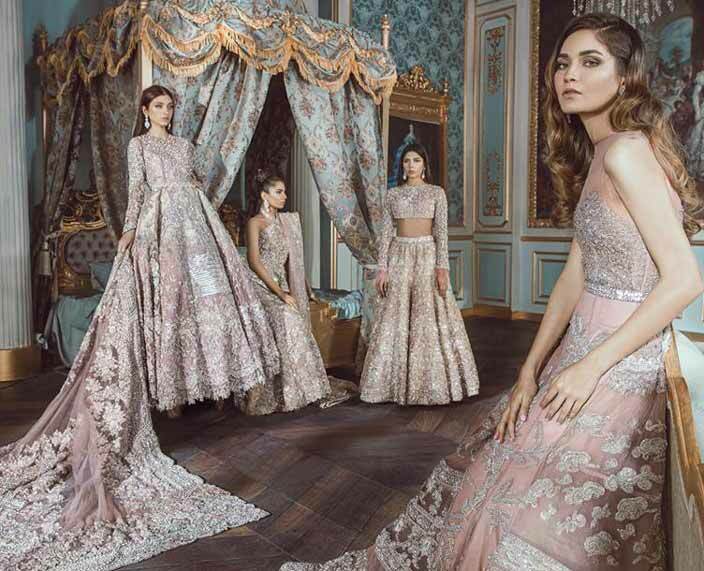 Since many of the female guests look bride-like with glittery wedding dresses fitted corset-like over toned bodies and that is all about Pakistani wedding fashion trends in 2019. After you have adjudicated your dress style and color scheme, now this is the perfect time to showcase a variety of dresses to choose from. Let’s get your eyes on the latest collection of Pakistani engagement dress designs for brides-to-be. Choose your most favorite one and stand out from the crowd. 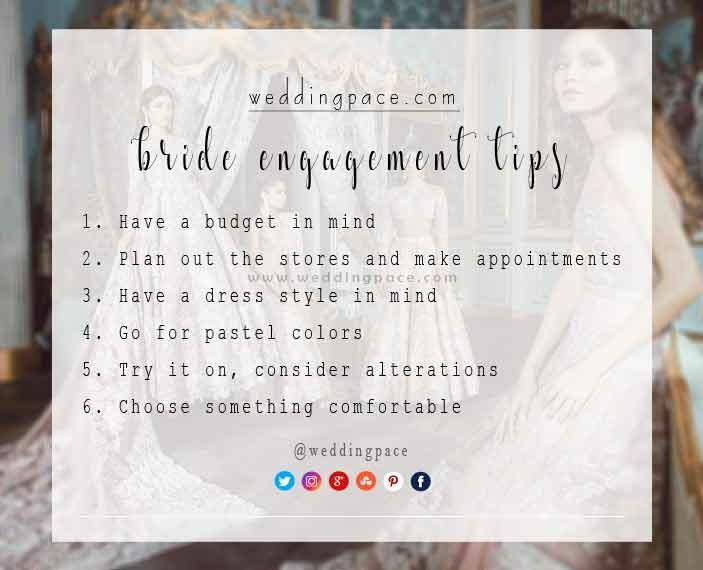 While I was writing this post, the first thought that flashed into my mind was; “What are the useful engagement tips that every bride must know?” I thought my readers must know about it. That is why at the end of this article, I will give you favorable tips that you must consider before your ceremony. 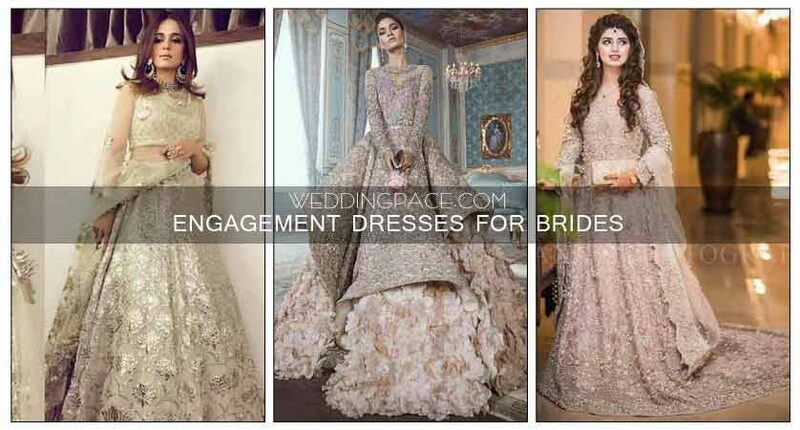 Let’s check out all of the Pakistani engagement dresses collection one by one. All of these short peplum frocks with sharara dresses are auspiciously wearable and suitably attractive. The structure and finesse of a well-cut silhouette have also been taken into consideration by the fashion designers. There is a rising fashion trend of short frocks with sharara and experienced as the best suitable for bridal engagement ceremony in 2019. Short frock dress designs having a flawless, impeccable quality of fabric and intricate embellishments all over, wins the heart of everyone. Check out the tremendous designs and new styles of Pakistani engagement dresses. Do not forget to keep an eye on the bridal dupatta draping styles. It will alleviate you to have multiple options for your big day. Lehnga choli dresses come second on the list. These conventional dresses now have become voguish in the international market as well. Lehenga choli is mostly adorned with Swarovski crystals, silver kora, dabka, kundan and diamanté. Floral net and chiffon panelled lehnga with thick salmon pink floral embroidered dupatta will bewitch all the hearts. Let’s have a look on the most beautiful lehenga choli designs for Pakistani bridals. All of these dresses collection made headway for prime fabric quality, stitching styles and ripest color combinations. 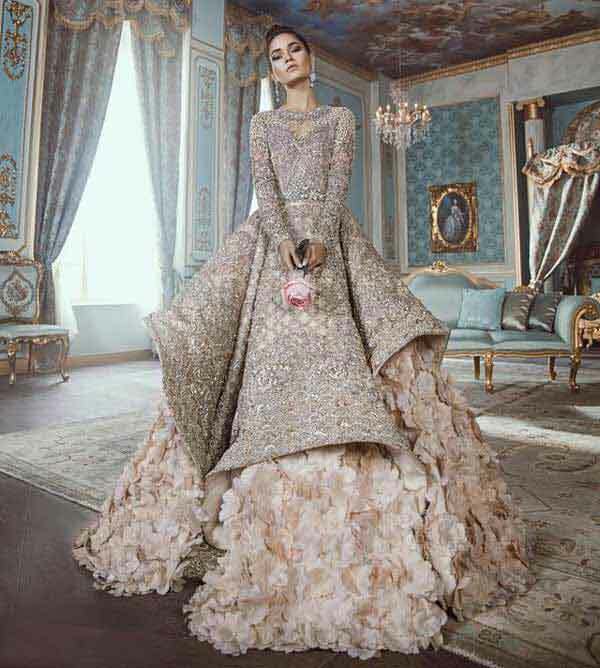 Everlasting long frock vogue is still most exacting in Pakistan. Nearly all of these long frocks are amply covered with glittering ornaments such as sequins or rhinestones all over the dress. This collection of Pakistani engagement dresses entails all the requisite ingredients for a perfect function. Its impeccable artistry of threadwork and 3D adornments on brilliant hues will assuredly leave an awe-inspiring expression. Heavily prettified royal and fancy taste of the following long tail frocks will make you feel like a princess! I prognosticate. Intemperately aggrandized short shirt with sharara has been one of the most espoused dress styles for last two years. We can see in the following images that short shirt with sharara brings together brand’s scintillating craftsmanship to form a vision that surely leaves us in awe! 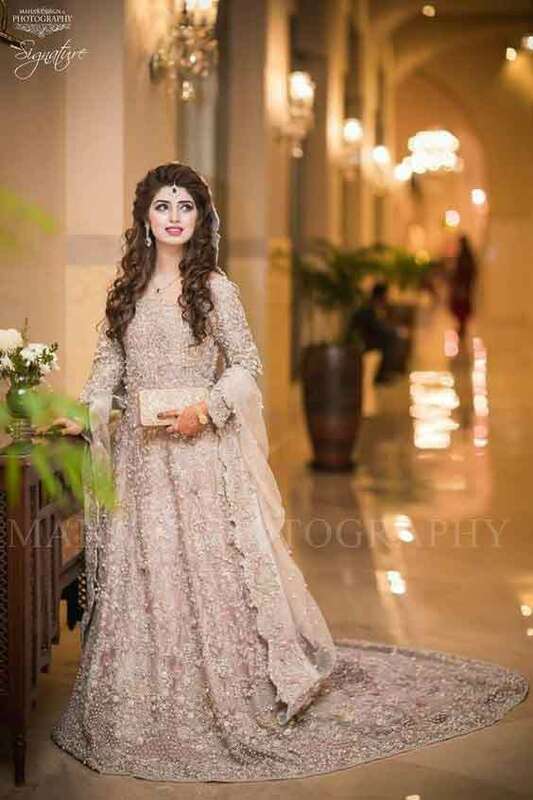 Have a look at the following mesmerizing Pakistani engagement dresses for brides to be and set your mind for a particular bridal dress style for you! Here come the most sophisticated and eonian Pakistani engagement dresses. Though, short kurti or short shirt with lehnga is more than conventional dress style in Pakistan. And it used to be elementary and simple engagement dress style. But, the world has changed! Those days are gone – but they can still be remembered and treasured. Now, this is the world of panache and elan. Short kurti may have a style of off-shoulders, rich borders and even backless. The images and ideas put forth in this post are exalting to the spirit that you might not be able to shake it off your mind! One of the most resplendent Pakistani engagement dress styles includes none other than the frocks with lehnga (either long frocks or short frocks). This bridal dress style now has become the centre of attention for popular fashion designers in Pakistan. Staggeringly embellished frocks with waist belt often come in pastel color combination. Use of fur, net, lace and intricate decorations engenders this collection from others. 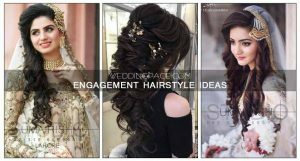 Go over the following Pakistani engagement dresses shown with images and choose your most favorite style. Before your special day, there are certain engagement tips that every bride-to-be must know. Let’s run down! Plan your budget for the engagement ceremony. You also need to do some paperwork that will help you avoid unneeded disbursements. Search and opt for reasonable outlets so that you can make sound appointments according to your schedule. At least before five months of your ceremony, you must have your dress style and color combinations in your mind. Engagement, nikah and walima ceremonies mostly come in soft, light and pastel hues. At least before two weeks of your big day, you must try your dress, it doesn’t fit well, go for alterations before time. As you know that luxury must be comfortable, otherwise it is not luxury! Numerous fashion designers have got much popularity not only within the boundaries of Pakistan but also internationally. 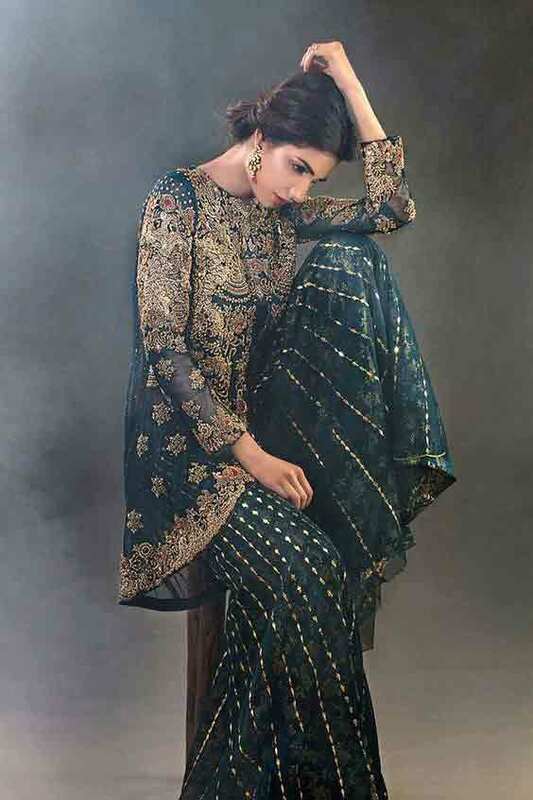 This collection is truly the synergistic product of a team of renowned international Pakistani fashion brands and local wedding wear designers as well. Without their tireless, wholehearted, unique contributions, it never would have come about. Creative designers choose the right color scheme and suitably pretty motif, get it stitched in a unique and elegant way, and voila! A certain version of an “engagement dress” can be spun out in mass quantities rapidly. Everyone loves to wear dresses by Pakistani designers whether international or local brands. Most of the Pakistani fashion designers have set the international market on fire! 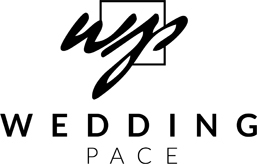 Successful designer wedding wear collections do not just happen, it takes every bit of combined energy, talent, skills, knowledge, eager, vision and determination you can muster. Are you thinking about the overpricing of these dresses? Yes, most of the designer brands price excessively high for wedding wear especially for an engagement dress for bridals. But it needs to be remembered that most of the time designers’ targeted market is elite class (people who enjoy superior social or economic status), models and actresses, or the people living abroad – who can actually afford. Thus, you should not behave agitatedly and therefore you are supposed to find the best possible solution for your wedding dress. 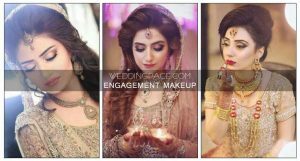 If you cannot afford Pakistani engagement dresses by top designers, then don’t fret at all! There are plenty of options available for you. Why not get a replica? And I bet you that thousands of local wedding wear designers are available who will cost you less than half, for a much more beautiful dress! There is something for everyone in these collections: they range from the high priced skills that are tremendously embellished in the most eye-catching monochrome patterns to the fairly priced net and lace. So the case in fashionable wedding wears, I must say that decency speaks up louder than fashion. Important Note: You should definitely take your time celebrating your engagement—but soon you must be ready to officially start your wedding planning. Above you have seen the spectacular collection of stylish engagement dresses for bridals in Pakistan. I hope that you liked all of these dresses. Whether you want to choose an outfit that is ornamented heavily or only plain geometrically is up to you. I want, above all, to instil a sense of new ideas about Pakistani engagement dresses that can work for you. If you are wondering about engagement dresses with price, then make sure to contact us via contact form or comment below. 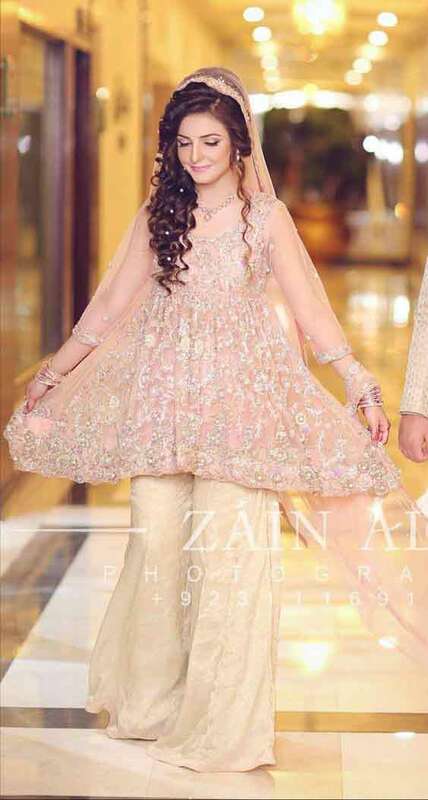 If you liked Pakistani engagement dresses then subscribe to my blog for more wedding stuff. I would like to get updates on engagement dresses, also on mehndi dresses, barat/Shadi and walima wedding outfits to follow in the coming six months!